If that special mom in your life is anything like me we all just want a nap #amiright? Some might say they’d like Mother’s Day breakfast in bed? Not up for breakfast? Try a sweet and savory Mother’s Day brunch celebration. 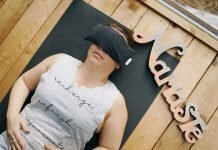 Above all, I think we can all agree, all us moms really want is a little peace and quiet for once! Can I get an AMEN? But back to the brunch idea, this has been something that I’ve always wanted to do. 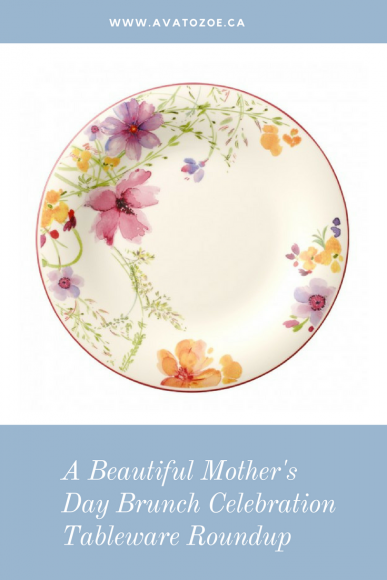 Throw a Mother’s Day brunch with the prettiest tableware for some of the finest mama’s in my life. ‘Cause let’s get real here without our mom friends someday we might not make it out the other side! 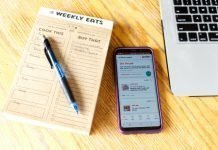 So just in case, this sounds like something you might want to do, I’m rounding up some of my favorite brands to help inspire you! Each brand has amazing quality, different price ranges but all with plenty of personality, kind of like mom! Want to make mom happy? Let her have a Mother’s Day brunch with her best friends. Set her a table set for the queen that she is! Needs some good brunch ideas? I’ve got plenty of amazing recipes right here and head over to Modern Mama for a recent roundup of patio cocktails any mom would enjoy! Let’s get real, a Mother’s Day Brunch is always a good idea, so good tableware is a must! Without further adieu… 3 of the finest and my personal favourite companies with the finest tableware…. Villeroy & Boch– When you’ve been around for 270 years, chances are, you know what you’re doing! Villeroy & Boch is that brand that stands the test of time, easy to clean and beautiful to look at. Dining with your loved ones, whether it be a casual lunch or a formal dinner party, is a time-honored tradition. Whether you gravitate towards a modern minimal look, prefer a chic nature-inspired appeal, or desire a classic traditional aesthetic, Villeroy & Boch products are sure to complement your lifestyle. Choose Villeroy & Boch confidently knowing that we are a brand of longstanding history, premium European quality, and the utmost integrity. Did I mention they just opened a new store at Granville & Broadway in Vancouver? 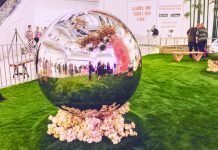 President’s Choice– Having recently had the chance to see their new collections, it is clear that President’s Choice is headed in an amazing and fun direction. With an amazing assortment of different patterns to choose from at great prices, you will love all the new options. Perfect for a patio celebration mom will love! Atkinson’s – The Villa Bianca collection uses the lighter Italian Carrara marble patterns for its line. However, the Villa Bianca creates an air of whimsy with more modern shapes for the handles of teapots and cups, as well as a chevron motif in saucers. That tableware is beautiful! It’s much better than my boring white, or mismatched pieces. Wow…So unique Tableware! I am a great fan of colorful tableware, I am definitely gonna own these. I would love to show them off. Thank you so much. So beautiful! I have so many mis-matched teacups and saucers. They’re my favorite thing ever. Make for beautiful table scapes! So many gorgeous sets!!! Makes me want to go shopping. I need to upgrade!! is that middle one really from Superstore?! Looks so beautiful and some great tips! 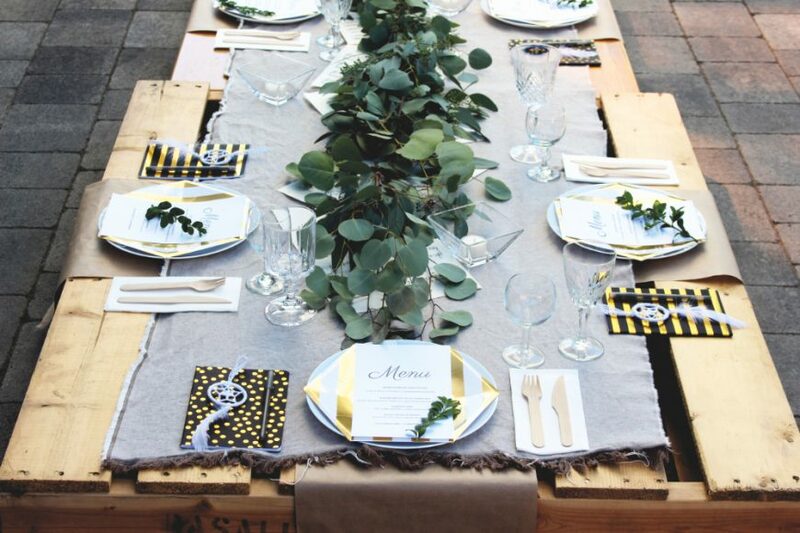 Love the table setting, nice way to upgrade the outdoor area.